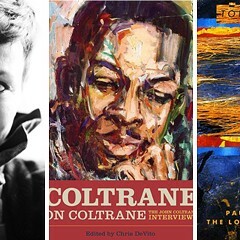 Over the years, music scholar Christopher C. King has displayed his erudition, curiosity, and passion on countless projects that uncover fascinating and forgotten corners of history—not just in the U.S. but increasingly also in Eastern Europe, usually digging back between 50 and 100 years. He's produced crucial multidisc sets focusing on bedrock American sounds, including the entire surviving output of blues legend Charley Patton and the recordings of the so-called Bristol sessions, which created a new paradigm for country music. 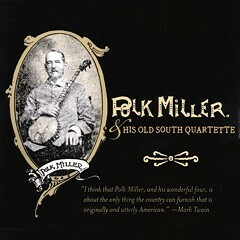 He's also shed light on the Polk Miller Quartet (one of the earliest African-American vocal groups), Cajun music, old-timey music, and gospel, among other things. But in recent years King has immersed himself in sounds from much further away. 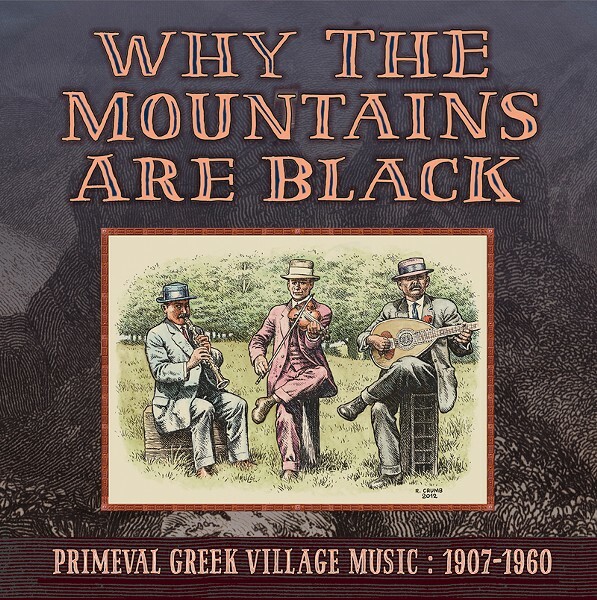 Earlier this summer, Jack White's Third Man label put out the two-album set Why the Mountains Are Black: Primeval Greek Village Music, 1907-1960, the fourth and latest of King's releases to explore rustic traditional music from Greece. (All feature terrific cover art by R. Crumb.) "Greek music" is too often considered merely synonymous with rembetika, the urban Greek analogue to the blues, but King has been exposing material just as beautiful and powerful but far less familiar. I've written about the two previous installments in the series: the 2013 anthology Five Days Married & Other Laments: Song and Dance From Northern Greece, 1928-1958 and its dazzling follow-up, dedicated entirely to fiddler Alexis Zoumbas, both focus on music from Greece's mountainous Epirus region, near Albania on its northwestern border. The gritty sounds they collect were originally woven into the fabric of everyday reality, whether to accompany ritual celebrations or to memorialize the shepherd's life. But the latest release digs deeper and reaches further, and includes influences that seeped in from surrounding regions. As King emphasizes in his liner notes, most of this music, transmitted orally for centuries, served as a balm for the crushing hardships of rural existence. "Here is the bona fide folk music that helped the people of sparsely populated isolated areas transcend the suffering of this life, to firmly connect those individuals to their time and place, and to mediate their relationship with predictable cycles of nature and the unpredictable events that could take everything away." King dispenses with track-by-track annotation in favor of grouping songs that belong to specific traditions or functions. A 1907 version of a song called "Golfo" by an unknown singer and an unknown musician is one of the earliest records ever made in Greece, and it's one of several tracks featuring a shepherd's flute called the floghera, "a long multi-holed chamber with an aperture at one end that can be blown across to produce a tone." Of course, no liner notes could convey the sorrowful beauty of the snaking, vibrato-rich flute line or the devastating delivery of the lyrics, which relate a folk tale about star-crossed lovers that ends in two deaths. After his description, King writes, "Everything is loss," a phrase he repeats several times in his notes. The set's title track, a throbbing instrumental for small double-reed horns called pipizi, was recorded in Chicago at the Webster Hotel in 1926, at the height of the jazz age; the notes credit J. Lengas, J. Patsios, and G. Kokotis. "Enas Aetos—Tsamiko," recorded here that same year by Tchousi, Damalas & Company, features the most powerful vocals in the entire 28-track set, matched by an equally searing violin part. As King writes, the "kinetic feeling" of the performance "is similar to the hot jazz solos that were the current rage." The vibrant "Selfos" by fiddler Demetrios Halkias spikes its lurching dance rhythm with startling techniques, including a shrill, chirping effect intended to mimic the song of the nightingale. Two tracks recorded in the late 50s in New York by Steve Zembillas and I. Mailles provide rare documentation of one of the oldest and least represented traditions in the set: in their bagpipe duets, one instrument plays melody, while the other drones on the harmony. "If it were not for the Zembillas," writes King, "the authentic 'last generation' home soil bagpipe music of the islands [of Kalymnos and Symni] would have been lost forever." Today's 12 O'Clock Track is "Kalamatianos," a 1932 recording by the Peloponnesian trio of K. Bournelis, F. Tsilikos, and Christos Kantilas. Piercing, pulsating, and pristine, it features two zournas—also a type of Greek double reed—blown with startling intensity atop hypnotic, driving rhythms played on a frame drum known as the tabor. The range of the collection means you can't judge its splendor and electricity by this single track, but the drama and immediacy of the performance will make you want to hear the whole thing. I can't wait for the next volume.